Does it have to be oyster shell? Nope!! Any shell will do... clam, oyster, scallop, etc. Do I have to clean the shell? Nope — all sanitation is done on our end. Can you pick up from my establishment? Yes — If you are within our pick-up range, we can work out a schedule! 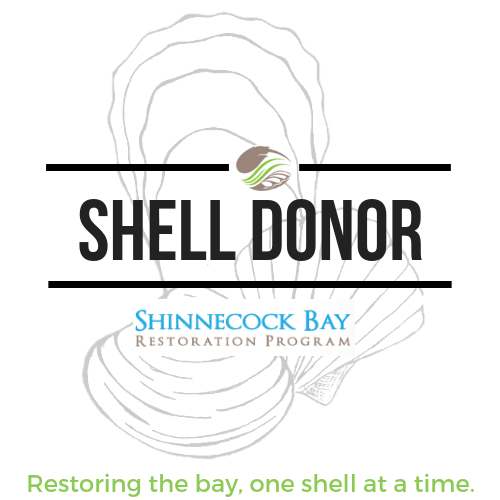 The Shinnecock Bay Restoration Program has launched a Shell Recycling Program with local participating restaurants and festivals. Why do we need shell? One of the most important requirements for oyster restoration is dried-out shell. Oyster larvae need a hard substrate, or bottom, in order to settle and grow. 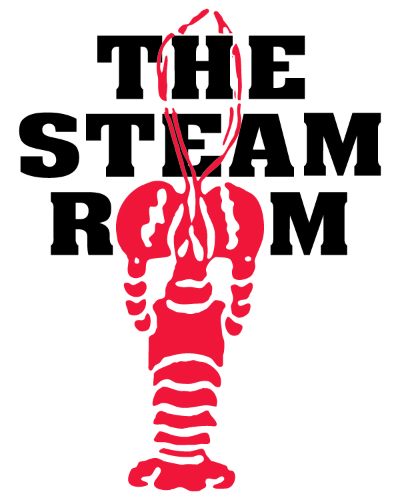 ShiRP uses dried surf clam shell, and oyster shell, in both our lab hatchery and in the field. At our Southampton marine laboratory, we are conditioning adult oysters, or broodstock, to produce new generations of young. Once the adult oysters spawn, they must be able to settle on hard substrate. Dried shell is one of the best materials to use, and is natural to the ecosystem. 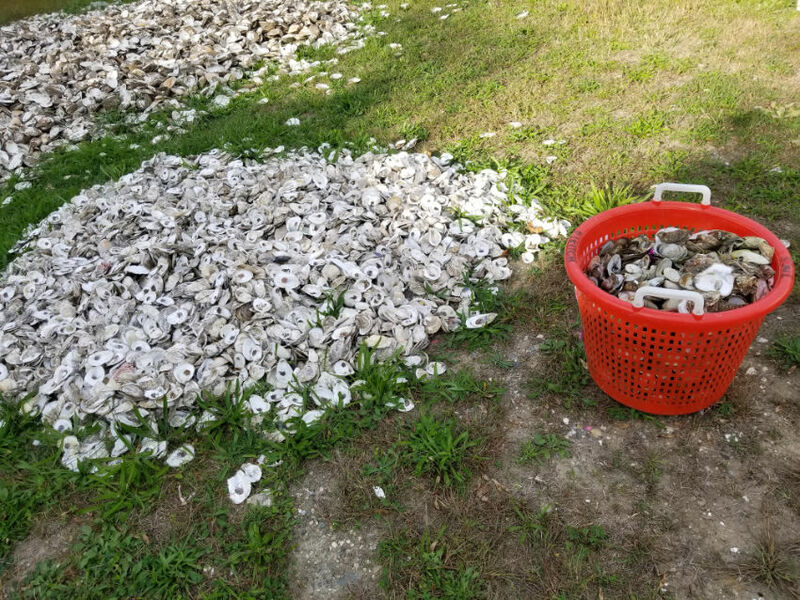 By filling large mesh bags with hundreds of individually dried shell, we create "shellbags" which are then placed in large tubs where oyster larvae floats, settles, and then grows. These shellbags are eventually deployed into Shinnecock Bay. 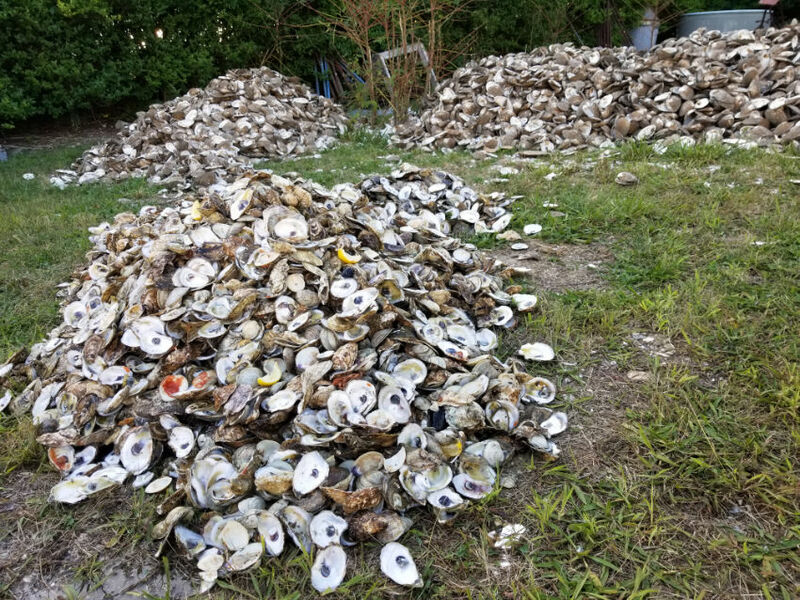 In October 2017, ShiRP received permission to construct several small-scale oyster reefs in Western Shinnecock Bay. 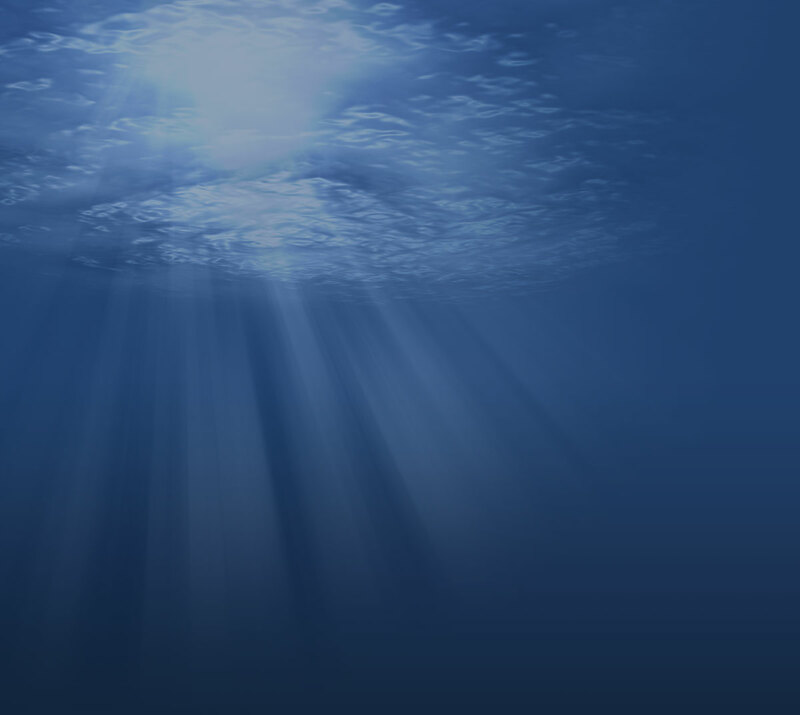 But to build new reefs, we needed to find a source of shell. 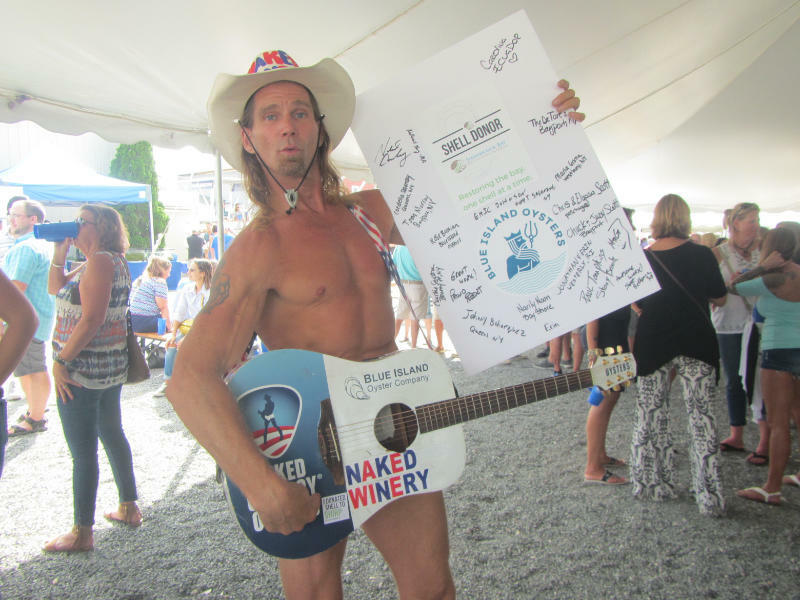 We began partnering with local restaurants and festivals to establish a Shell Recycling Program! What do we do with the shell? After collecting shell from one of our participating businesses, the shell undergoes a 6-month sanitation process. We then bundle the shell pieces together and set larval oysters on them at Stony Brook University's Marine Station in Southampton. (Note: larval oysters are also known as "spat"). When the oysters are big enough to survive in the bay, we install the bags at one of our reef locations. If a snorkeler or fisherman happens upon a reef, they may mistake it for a jumble of shells; however, these artificial reefs provide the perfect environment for all sorts of life, such as filter-feeding bivalves and larval fish. By building up this habitat for local wildlife, we are furthering our organization's missions of increasing the biodiversity and improving the water quality of our beautiful bay! 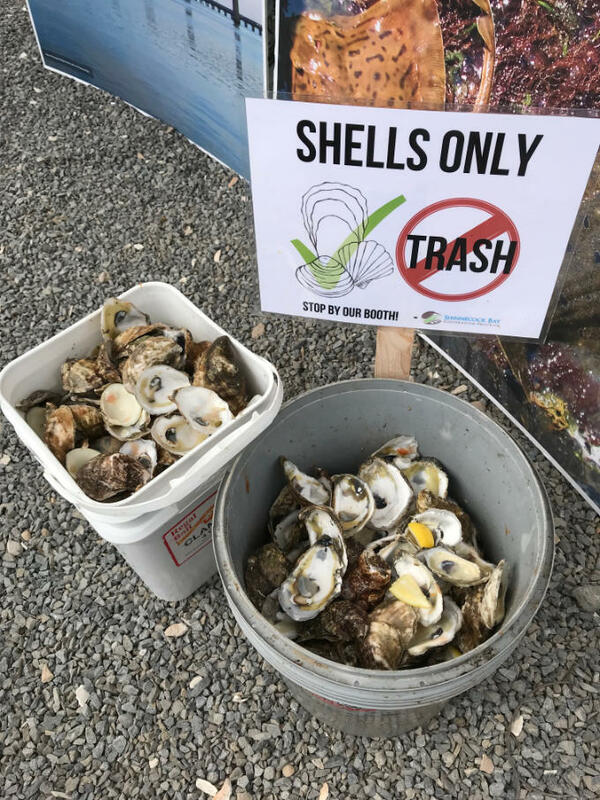 Typically, restaurants and oyster festivals around Long Island throw used shell in the trash. 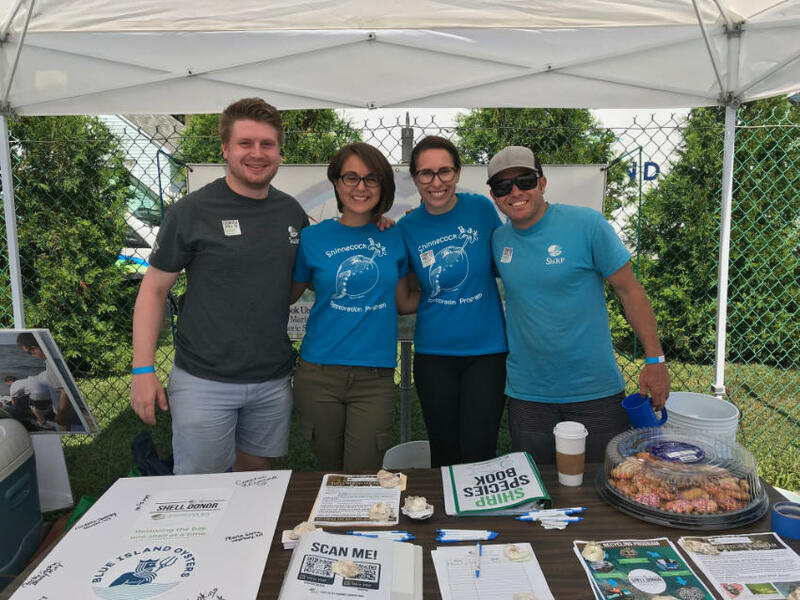 Donating shell to ShiRP doesn't just help with local restoration efforts; it reduces landfill waste and creates meaningful partnerships with the local business community, too! 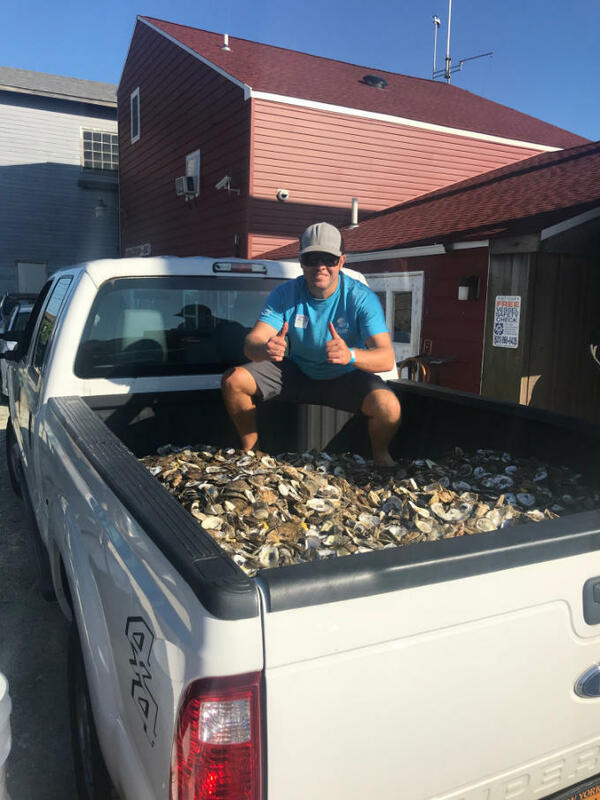 We started the program in September 2017, and after a little over one year, we have collected 1000+ gallons of shell. If you are interested in donating shell, please contact us at shinnecockbay@gmail.com.